Come enjoy the soaring eagles and the songs on the loons at beautiful Big Timber Lodge! 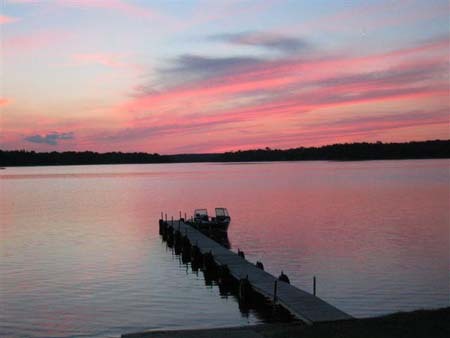 We are located on the southern shore of 3rd Crow Wing Lake, just a stones throw away from Itasca State Park. We are just South of the Mississippi headwaters, and 15 minutes Southeast of Park Rapids, Minnesota. 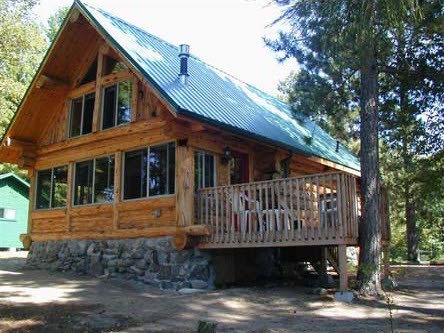 Our Century old log lodge features a beautiful fieldstone fireplace, and a huge outdoor patio! Inside the lodge you will find our general store, where we have live bait & tackle, Gifts, Hot & Cold drinks, and plenty of snacks. The lodge is home to our game room with a pool table, pinball & video games. We have a ton of board games, puzzles & books with plenty of space to enjoy. The lodge has free WiFi and is the perfect place for large gatherings! Open 24 hours a day. All 12 of our super clean housekeeping cabins offer a great view of the lake! All of our cabins are air conditioned! Each cabin has a full kitchen including a microwave, coffee maker, and all the utensils you’ll need. Outside each cabin you will find a picnic table & charcoal grill. Cabins range in size from 1 to 5 bedrooms, and can accommodate 2 to 18 guests. 3rd Crow Wing Lake offers more than 640 crystal clear acres of water to explore with easy boat access to a 1000 more! We have a large sandy swimming beach with a long gradual slope. The beach is protected from boat traffic and is perfect for basking in the sun! We have lots of water toys including floating loungers, kayaks, paddle boats etc... all are free to use. 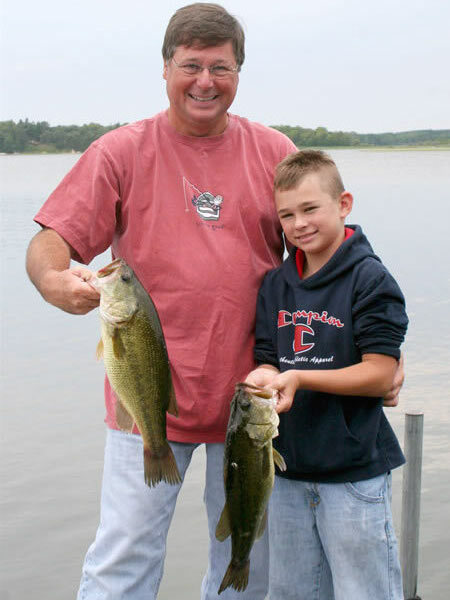 The fishing at 3rd Crow wing is considered above average for the area. The lake is well known for producing large Walleye, abundant Large & Small mouth Bass, Northern Pike & Crappie. The kids will love catching pan fish right off our docks. We have a fantastic fish cleaning house (No stinky cabin) So bring your own boat or rent one from us, we offer a ton of dock space with power, and a concrete boat ramp. 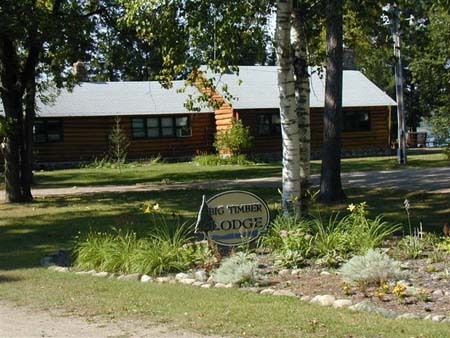 Our goal at Big Timber Lodge is to provide your family with a fun, safe and memorable vacation! So please join us and enjoy everything the Northwoods has to offer!